With a mother fueled by hallucinations of political conspiracy and family dysfunction, Clyde is kidnapped at the age of 12 and taken on a cross-country adventure that will forever alter the family as they know it. In addition to animation, Clyde is a musician. He plays guitar with three Seattle bands. Since 2001, his band Your Heart Breaks has toured the world. He’s also a digital maker of many things. In 2005, he launched his production company, Do it for the girls productions, creating animated music videos, building websites, managing bands, and designing CD art. He is a member of S.E.A.T. (Seattle Experimental Animation Team) and, while skilled in hi-tech methods, embraces a lo-tech, Do-It-Yourself approach. Clyde is a committed teacher and mentor and is the Technical Director for the nonprofit REEL Grrls. He graduated from Fairhaven College in Bellingham in 2001. 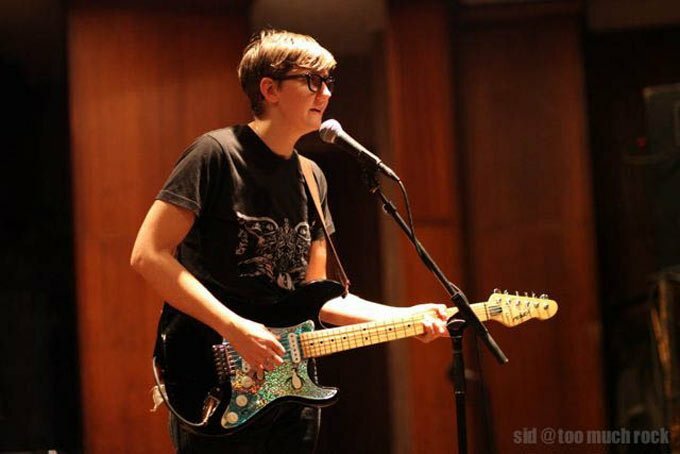 Petersen is transgender and he is an ardent activist for the LGBTQ community, often making art in collaboration and featuring members of the local queer community. Boating with Clyde episodes (now in their 5th season) can also be watched online. Clyde took time out from a very busy Saturday (playing at a wedding, an art opening, and then a gig that night) to answer a few questions about Torrey Pines. Glenn Holsten: What is the significance of the title Torrey Pines? Clyde Petersen: Torrey Pines is the beach/state park where I spent most of my time as a young person. 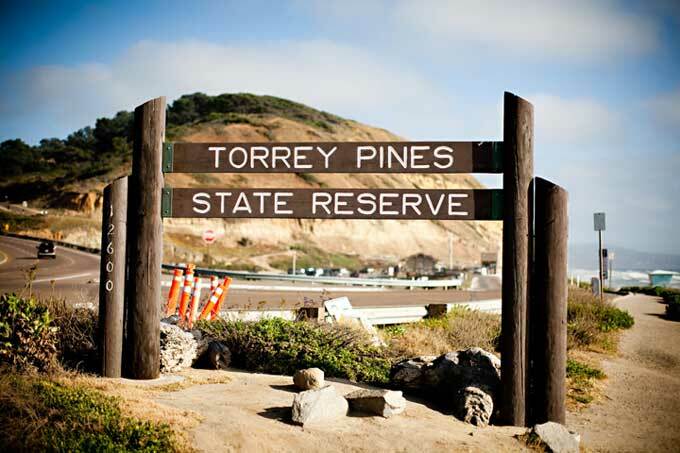 Glenn Holsten: What was your first encounter with Torrey Pines State Park? What meaning does it hold for you? Clyde Petersen: I grew up down the street from Torrey Pines and would spend every weekend there boogie boarding, swimming, or climbing around up on the cliffs by the trail tracks overlooking the ocean. It is also the place I went to be alone when my mom was having a bad day. Glenn Holsten: From your trailer / kickstarter invitation is the statement, “I am making this movie because it’s time to tell the story. Because there are very few films about schizophrenia, mental health and queer youth” — What is the story you want to tell? Why is it the time to tell this story now? Clyde Petersen: The film is a road trip movie about growing up queer, a loner living with their mom who is showing signs of schizophrenia. There are not many films about mental health, from a personal standpoint. Tarnation comes to mind, and that film is amazing. Glenn Holsten: What is your approach? How will the story unfold? Clyde Petersen: It’s based on a true story from my life. And it’s all about getting kidnapped at age 12 and taken on a cross-country road trip with my schizophrenic mother. Glenn Holsten: Whaaat? I’d love to know more about this trip. From where to where? How long did it take? Clyde Petersen: I’m saving this info for the movie! Glenn Holsten: When did you realize your mother was schizophrenic? What was a 12-year-old’s understanding of this diagnosis? What was a 12-year-old’s experience with this woman like? Clyde Petersen: No one ever told me what was going on with my mom because no one noticed for a long time that anything was wrong. We lived alone. From time to time, strange things would occur, or my mom would talk about conspiracies. She was very active in writing letters to the government about her theories about hippies, aliens, jesus and the devil. Glenn Holsten: You have many short movies and music videos, including a TV show and an art installation called Boating with Clyde. I love the Boating with Clyde concept. Tell me about it . . . how did it start? Where did it take you? Clyde Petersen: Boating with Clyde is a nautical adventure series, starting its 5th season of production. I invite artists to go boating and they perform music and talk about art and science on the boat. The videos are free online and can be seen here: boatingwithclyde.com. Glenn Holsten: Where did you learn about animation? What do you love about the art form? How would you describe the animation style of Torrey Pines? What are your influences? Clyde Petersen: I studied filmmaking in college. Primarily documentary filmmaking. 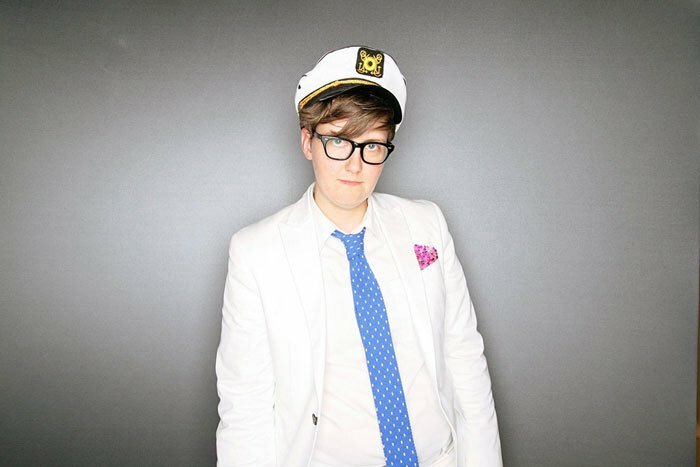 I wanted to travel the world and film queer bands. I ended up making tons of music videos for bands and touring for years with my band Your Heart Breaks. 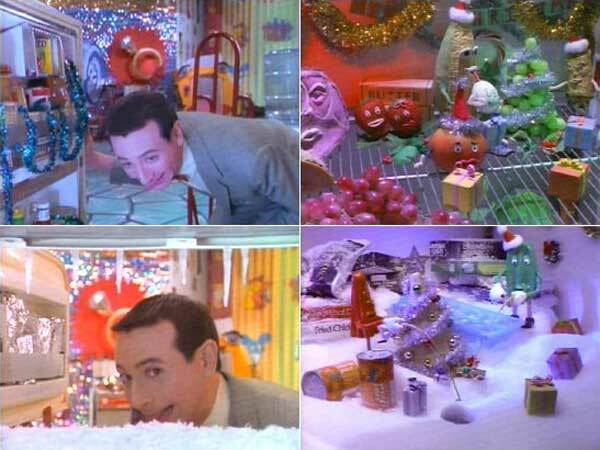 I grew up watching Pee-Wee’s Playhouse and was always very in love with the dinosaurs that lived in his walls. And the food in the kitchen that would always come to life. That show was so magical. I’ve explored many avenues of animation; paper, clay, objects, drawing, paint. 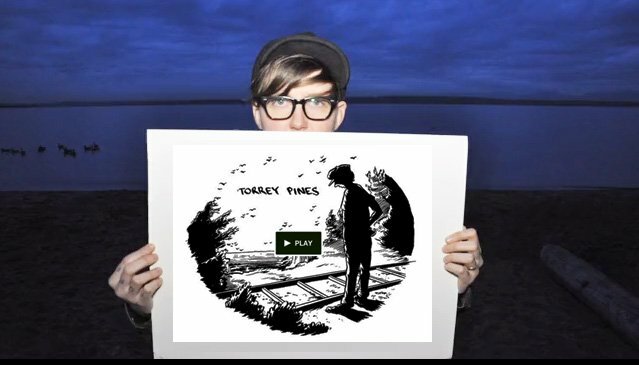 Torrey Pines will be cut paper animation. Glenn Holsten: You had a successful Kickstarter campaign in which you promised funders that in exchange for support, they could become a character in the film. It seems a very successful offer . . . how are you handling the many responses? In what ways has it affected the film? Clyde Petersen: It’s going to be great to have all of those faces in the film. I’m very excited to have a whole community involved. Glenn Holsten: Among other interesting things, you note that your film is about hippies, queer and transgender teenagers, giant cell phones, Linda Hamilton and chain-smoking grandmas . . . a few of my favorite things. I can’t wait. Where are you in all of this? Clyde Petersen: These things are just the objects I grew up with so it feels like a very natural combination of things to talk about and include in a film. Where am I? I’m just excited to be making art. Glenn Holsten: How is it going? When would you love it to be finished? How can we see it? Clyde Petersen: The film will be in production through 2015 and then be released into the world via traditional routes of screening. Glenn Holsten: Please, please let us know. We’ll be looking for it!